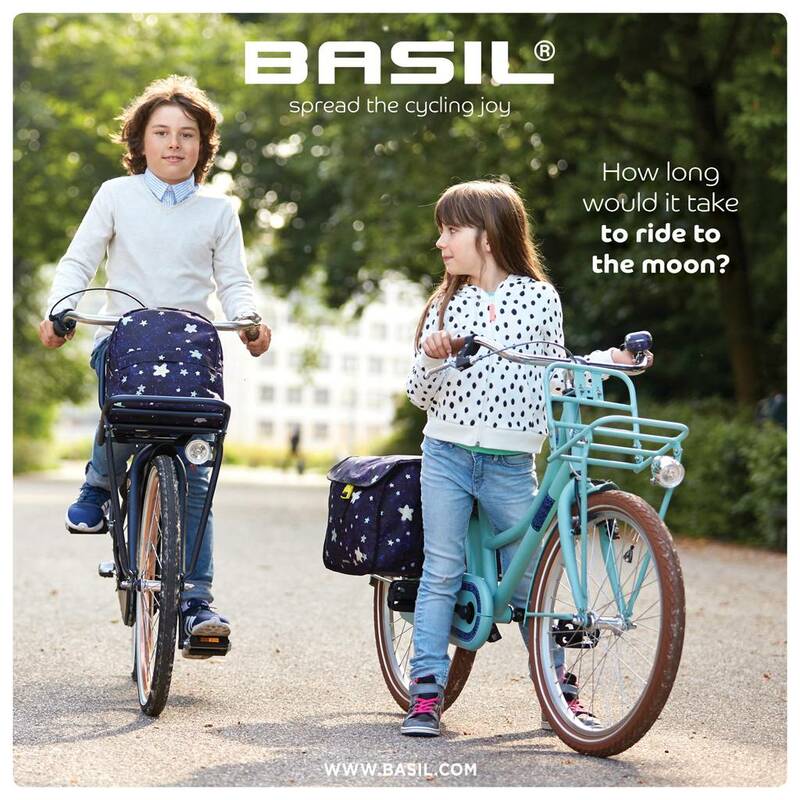 De Basil Stardust Bell is een fietsbel die je bevestigt aan het stuur van een kinderfiets. Een niet te missen accessoire voor jouw zoon of dochter. The Basil Stardust Bell is a must-have bicycle bell from our must-have collection of cycling accessories for children. This striking bicycle bell is available in nightshade, an eye-popping purple colour. A great idea for those worried about road safety, this bell fits easily to the steering wheel and keeps your child that much safer on the road. Thanks to an audible ding-dong, this bell ensures your child is always well heard when out and about, while the durable metallic construction means it will hold up well for years to come. This bell comes complete with a brace and two screws to ensure easy fitting straight out of the box, with a generous diameter of 60mm ensuring it is always within reach of little digits. Wondering what else Basil in store? Browse our complete range of essential accessories for your child, with a whole host of bags, baskets and bells little cyclists will love. The Basil Stardust Bell is a 60mm diameter ding-dong bell. This bicycle bell can be easily attached to the steering wheel of your child’s bike. The Basil Stardust Bicycle Bell is available in nightshade, a dark purple colour. 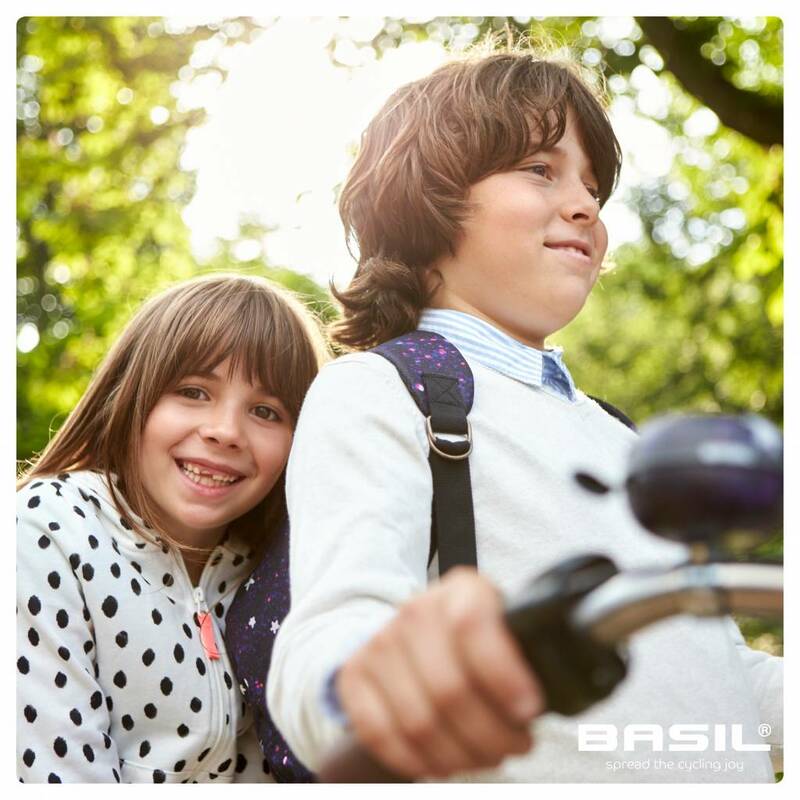 This bicycle bell from Basil is suitable for both boys and girls bicycles.